This Sunday I met up with Laura Kaljunen, Nicole Persson and Eerika Kraft from the Royal Swedish Ballet School. 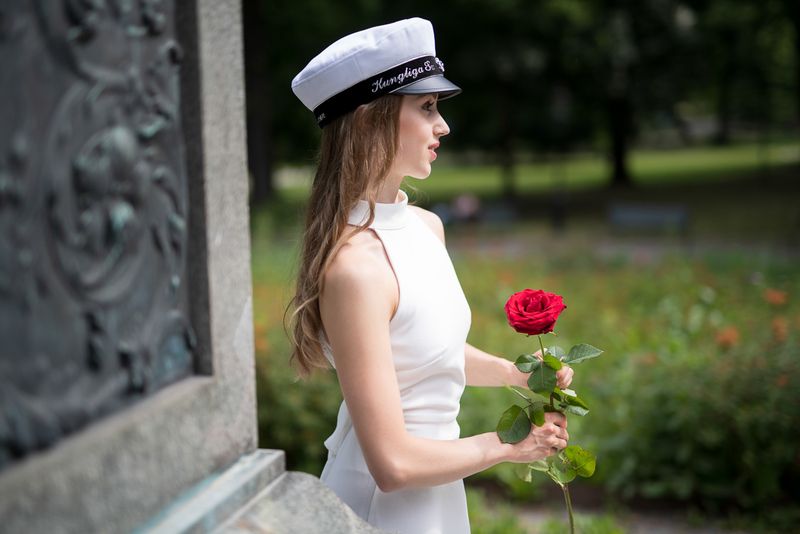 They graduate on Friday, and it is a Swedish tradition to wear a white student cap to mark the occasion. 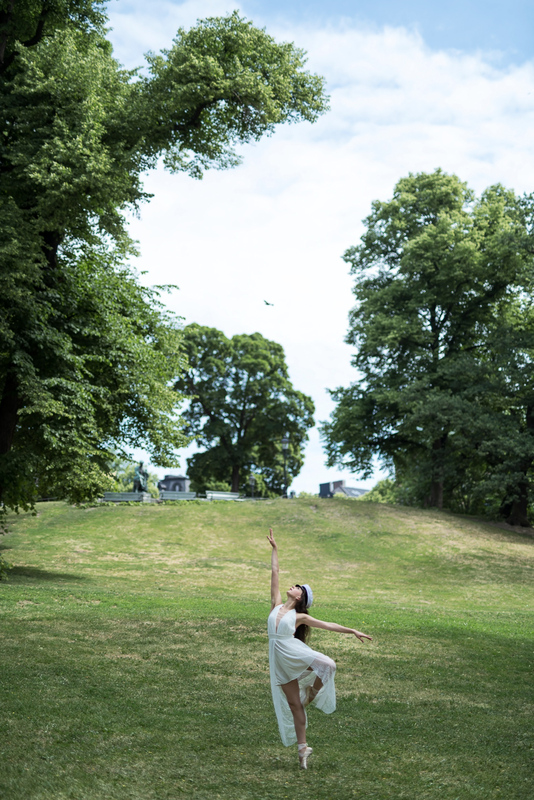 We met up in Humlegården to do some student portraits and dance photos. Laura Kaljunen. The sun was high in the sky, so we went to the shady side of the big statue of Carl von Linné. Laura had brought a red rose along which added a nice touch of colour. Eerika Kraft. Spicing up the student photos with a bit of ballet. Laura Kaljunen and Eerika Kraft. Playing around with different framings. Eerika Kraft. Here we used the light reflected from the statue of Carl von Linné to light up Eerika, the direct sunlight provided a beautiful highlight on the hair. Laura, Eerika and Nicole posing for a group photo. Eerika Kraft. For a little while the big alley of trees was empty of people so we took the opportunity to take some photos there. Nicole Persson and her little mascot. Nicole Persson student cap in hand. Eerika Kraft. The pavilion provided a nice framing. Laura and Nicole. We headed up to Skinnarviksberget for a few last photos before it was time for them to head off to their ballet performance at the Royal Swedish Ballet School. Congratulation to Laura, Nicole and Eerika!